NOMI is a severe disease associated with a mortality rate of 70 %. In order to achieve the best result, a timely diagnosis is of the utmost importance. 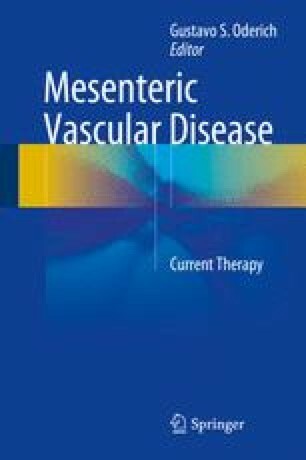 Besides general treatment of mesenteric ischemia, treatment should be focused on relieving the vasospasm to return adequate blood flow to the splanchnic circulation. Treatment with intra-arterial papaverine can successfully relieve mesenteric vasoconstriction, although mesenteric angiography may not be possible due to an unfavorable patient presentation. A good alternative is the application of a high dose of intravenous PGE1. Surgical intervention should be reserved for patients in whom initial treatment fails.